Toy Hauler RVs are very popular these days. Their versatility, durability and cutting edge features make them a great choice for a wide range of needs. Here, we’ll take a look at the major benefits of owning a toy hauler RV. 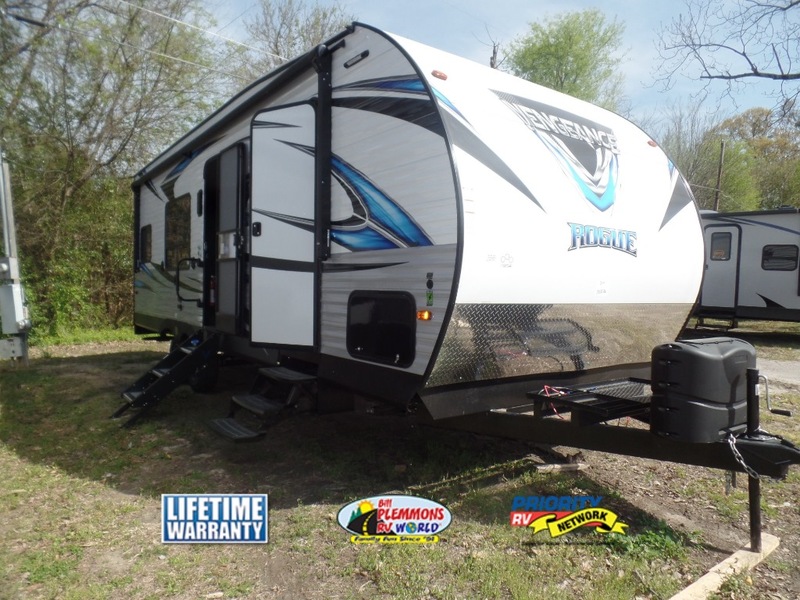 With a large number of Toy Hauler RVs for Sale at Bill Plemmons RV, there is a camper for every type of outdoor adventure. The multi-purpose toy hauler garage space is perfect for storage, parties and a variety of other uses. With this unique extra storage area, you can take your camping experience to the next level by bringing along your favorite off road vehicles such as an ATV, motorbike, quad or golf cart. In addition to motorized toys, you can also safely transport other outdoor gear such as small watercraft, water skis, recumbent bicycles or other bulky items. 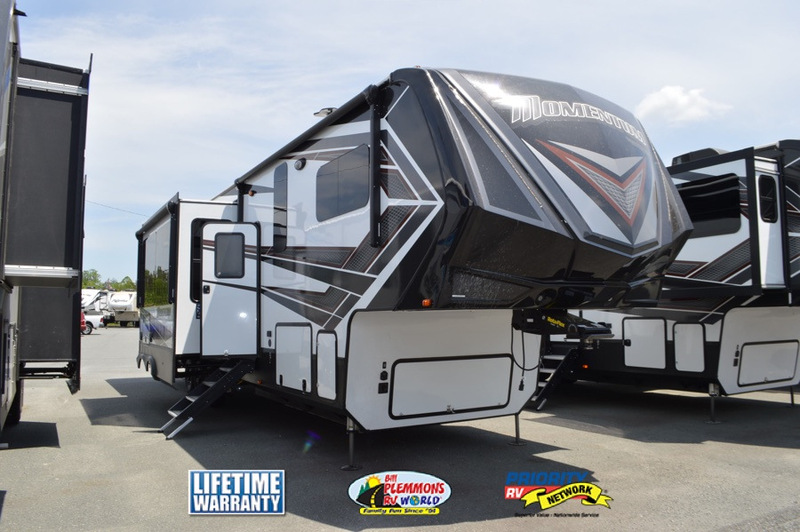 Toy haulers are available in a wide variety of sizes and floorplans. 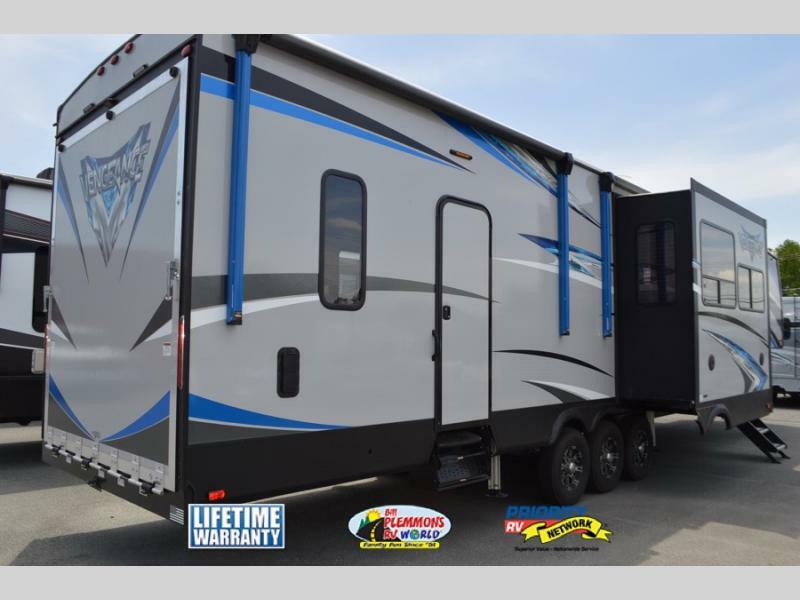 Whether you are looking for a fifth wheel or travel trailer camper, there is a toy hauler model right for you. A big part of camping is spending time having fun with friends and family. This is where these unique RVs really shine. 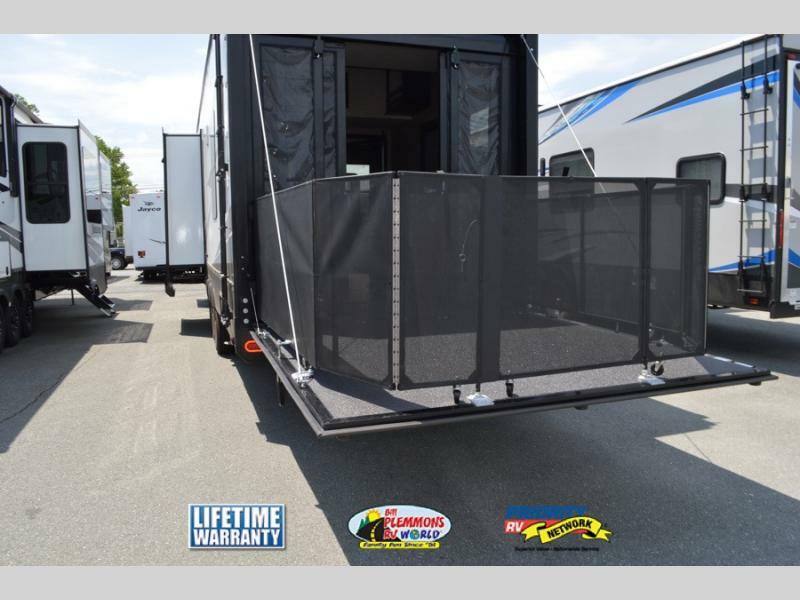 Many toy haulers feature a rear ramp that transforms into an open air patio, perfect for parties. Your guests will have a comfortable spot to relax thanks to the power drop down Happijac seating found in RV brands such as the Grand Design Momentum and Cherokee Vengeance. In the main living area, you will find everything a standard RV has to offer, a full kitchen, bathroom and extra seating. Some models even feature a luxurious electric fireplace! If you are the type of traveler that loves tailgating, music festivals, motorcycle rallies, racing meets or similar outdoor events, a toy hauler camper is an excellent RV choice. 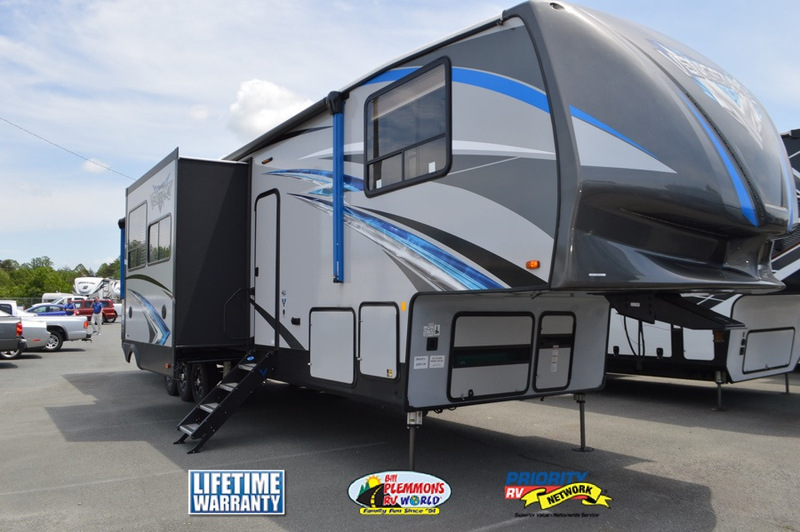 To find the Fifth Wheel or Travel Trailer Toy Hauler that’s right for you, Contact Us at Bill Plemmons RV world or visit one of our North Carolina RV Dealership Locations. Let’s get this party started!